After installing FME Desktop, open the Windows Start menu, and click the Programs (or All Programs) submenu. 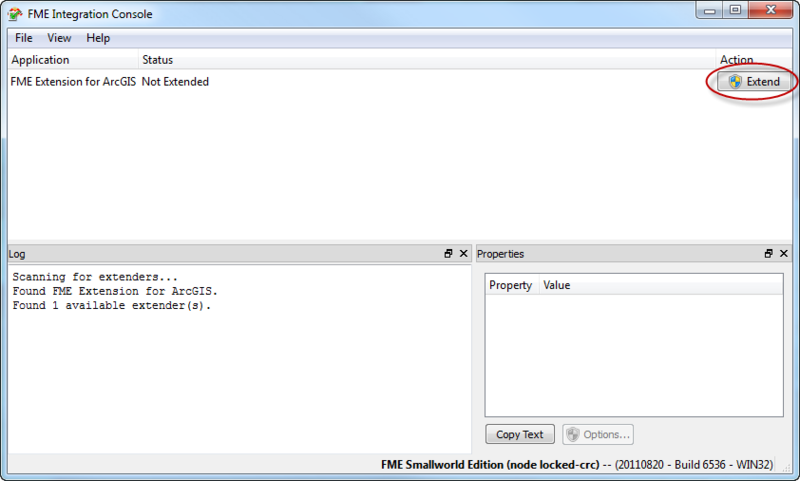 Click FME Desktop > Utilities > FME Integration Console. FME will scan your machine for any installed applications that can be extended to support FME. The results appear in the Application column.